The US Army has revealed plans to buy the Iron Dome weapons system, which is currently operational with the Israeli military. Developed by Rafael Advanced Defense Systems, Iron Dome is a truck-towed mobile air defence system that provides protection against short-range rockets and artillery shells. The missile defence system’s fundamental features include detection and tracking radar, battle management and weapon control system (BMC) and a missile firing unit (MFU). Designed to be operated in all weather conditions, Iron Dome deploys its Tamir interceptors to engage incoming projectiles from up to 70km away. Other capabilities include a vertical launch interceptor, warhead and proximity fuse, mobile launcher, and compatibility with several radar and detection systems. 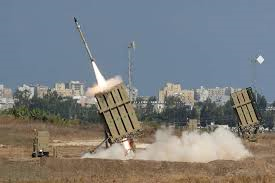 In a statement, US Army Colonel Patrick Seiber said: “The Iron Dome will be assessed and experimented as a system that is currently available to protect deployed US military service members against a wide variety of indirect fire threats and aerial threats. “While Iron Dome has been in operational use by the Israeli Air Force since 2011 and proven effective in combat, it should be noted that the US Army will assess a variety of options for its long-term Indirect Fire Protection Capability Increment (IFPC) solution. The US began supporting Israel’s development of Iron Dome by providing financial assistance in the fiscal year 2011. In 2014, both governments signed a co-production agreement to produce Iron Dome’s components in the US. Raytheon agreed to serve as Rafael’s US partner to co-manufacture Iron Dome. It provides parts for the system’s Tamir interceptor. The Missile Defense Agency gained complete access to the proprietary Iron Dome technology. To date, the US has provided $1.397bn to Israel for Iron Dome batteries, interceptors, coproduction costs, and general maintenance, according to Congressional Research Service Report ‘US Foreign Aid to Israel’.